Massive freighting of supplies by ox and mule trains was a direct result of the establishment of Fort Kearny and other western military posts. The Mormon War and the discovery of gold in the territories of Colorado and Montana increased this trade, and Nebraska City became a major freighting center between 1858 and 1865. Early freighters used the Ox-Bow Trail which looped northward to the Platte Valley and west to Fort Kearny. The competition with other Missouri River Towns forced the freighters to seek a shorter, quicker route. The new route, the Nebraska City-Fort Kearny Cut-off, passed near this point. It was originally marked by a plowed furrow of over 180 miles. In 1862 Joseph Brown brought to Nebraska his famed steam wagon, an invention that would hopefully revolutionize plains freighting. Bridges were constructed and other improvements were made to facilitate this machine. 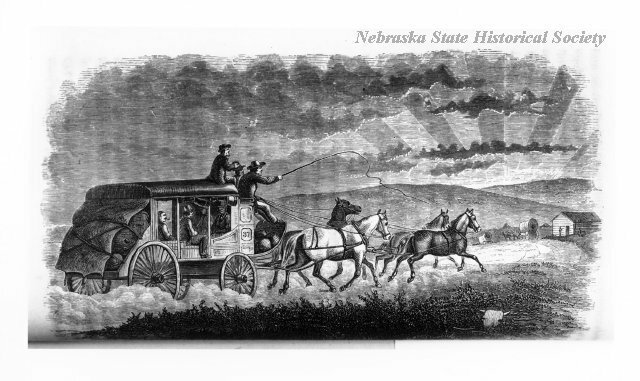 The experiment was a failure and the wagon never got beyond the outskirts of Nebraska City; even so, the cut-off is also known as the "Steam Wagon Road." Overland freighting reached its peak in 1865 when over 44 million pounds of supplies were shipped from Nebraska City. The construction of the Union Pacific Railroad across Nebraska, however, signaled the end of major freighting on this trail. 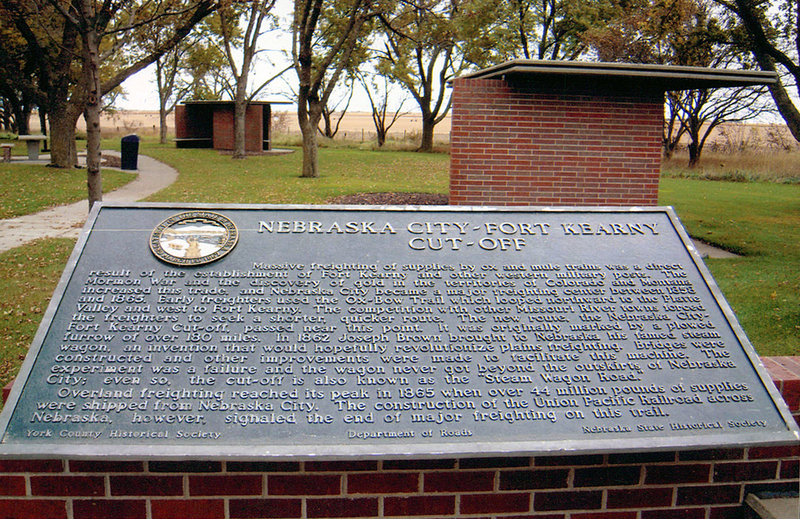 “Nebraska City - Fort Kearny Cut-Off,” Explore Nebraska History, accessed April 19, 2019, https://mynehistory.com/items/show/539.